I've already blogged about pesarattu here . 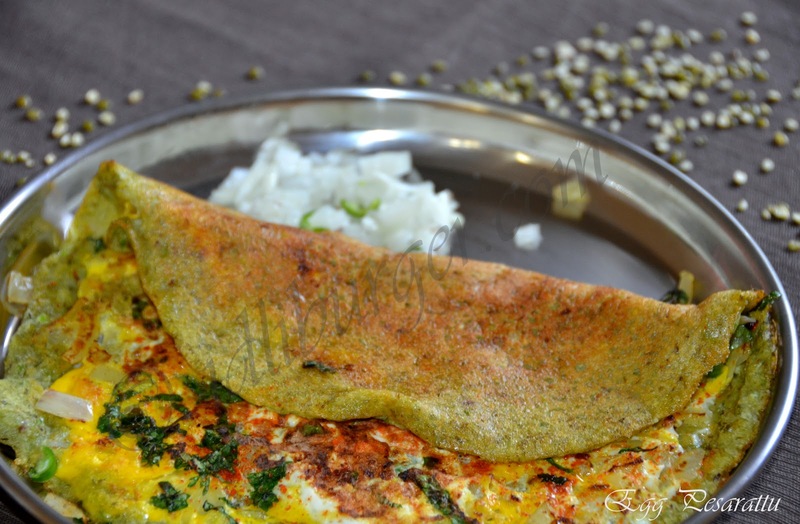 Egg pesarattu is an other version of pesarattu that me and my brother enjoy. The basic batter is the same and we just add egg, salt and red chilly pwd to it. 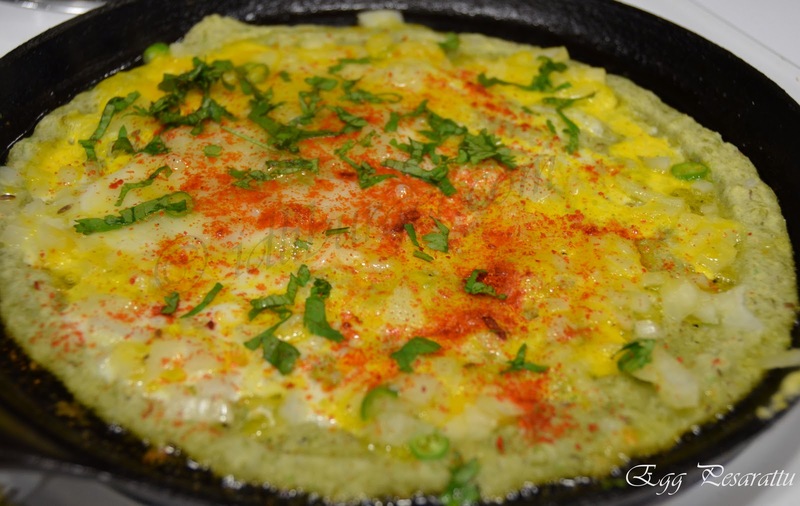 Tastes great with allam pacchadi (ginger pickle), peanut chutney or ketchup. 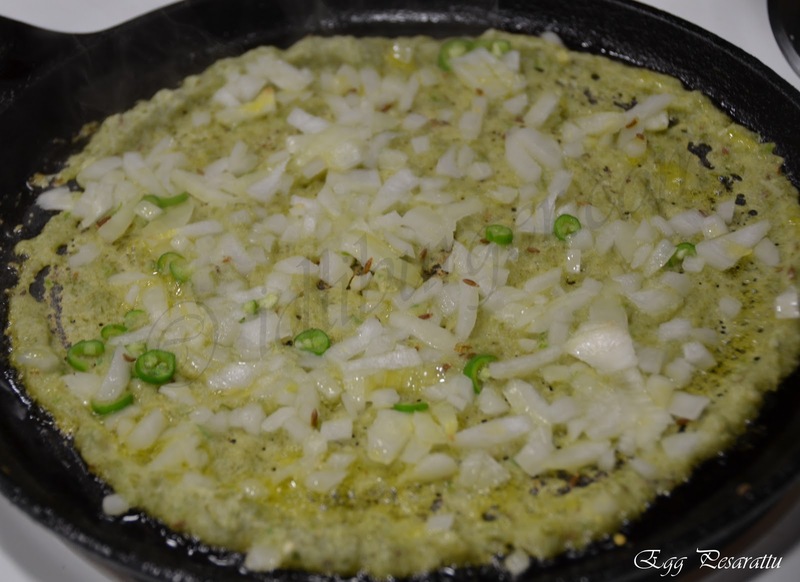 To make pesarattu follow the instructions here . Spread the some of the chopped onions and green chillies. Crack open an egg directly on to the peasarttu and spread it with a spatula. Sprinkle some turmeric pwd, salt and red chilly pwd, cilantro and some oil and let cook till done. Turn the pesarattu around and cook till done on the other side. Remove and serve hot with chutney . Note: Egg pesarattu taste the best when eaten hot. 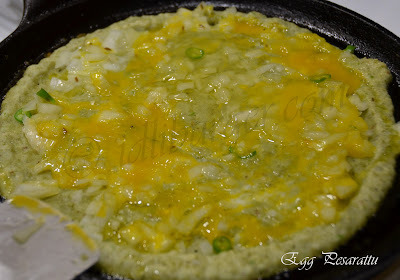 Fantastic n drool worthy tempting egg pesarattu...lovely! Lovely.. different form of pesarattu..
pesarattu is one of my most fav b'fast and adding eggs makes it super quick and delish. wat a fantastic recipe..very tempting..
Pesarattu Green Gram Dosa with egg, good and healthy combo. Looking yummy.